Quality Coving Cornice Suppliers, from Victorian Coving to Modern styles and other wall Decor Delivered to Your Door. Our coving and cornice and all our products are produced in exclusive rigid steel moulds that faithfully yield strikingly ornate and sharply defined details, perfect dimensions, and extremely consistent quality. Our coving and cornice are not made from traditional plaster which is more heavy and brittle, as for our Duropolymer coving, Polyurethane coving, and Polystyrene coving and all other decor products are lightweight, strong made from high-quality polymers. 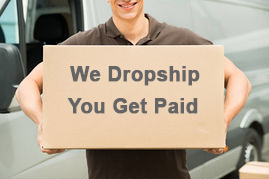 This is another unique reason that makes us different from other dropship companies, most dropship companies in fact all of them will only deal with you if you have an e-commerce website that takes in credit cards and debit cards or PayPal, this means you would have to do either design the website yourself which is not easy or you could find a web designing company which would cost quite a bit, upload all the pictures of the items products that you want to sell, then you would need a telephone line for customers who are enquiring about your products, and then you would need to deal with certain people who may want to return the items back to you, as you can see this can cause some headaches. There is an easier and better way! by joining us at decor trade we have the facilities and a marketing platform to do away with all these problems, we have two marketing methods to help you succeed Method number one is that we offer you a website that is designed with all the products that link back to our website, and if any of your customers purchase a product we will pay you a commission of 15% and we’re talking about customers who purchase from a few hundred pounds to a few thousand, remember these people are purchasing not one individual product but many, for instance if you have a customer who is decorating the whole of their house they we’ll not just purchase one length of coving they will obviously purchase many lengths depending how many rooms they have to decorate. Method number two if you do not want a website then we can offer you a banner which you can use on any social media platform, this means if any of your customers click on that banner that you have put up it will go directly to our website and if they purchase you get paid 15%, you also will have access to the back office admin of our website so you can see how many clicks, and purchases your banner or website has made. We not only sell to the public but also we sell quite a lot of our products to builders developers construction companies, so imagine if you find a customer who is building homes, hotels, or larger projects 15% can amount to a substantial amount of money. If you are interested in this unique business opportunity we are offering a five page website including a domain and hosting that is linked to our products website, you also receive membership to a back-office where you can check how many sales you have made all for only £120 for the year. 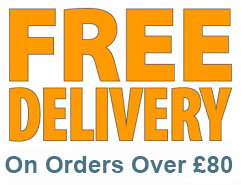 If you have your own website / Blog / Social Media and only want the banners then it’s Free!